Paillé C, Leux C, Guilé R, Abbey H, Lombrail P, Moret L (2012) Causes of inappropriate hospital days: development and validation of a French tool in rehabilitation centers. Int J Qual Health C, 24(2): 121-8. Clerc H, Tavernier E, Giraudeau B, Bourdais-Sallot A, Samimi M, Abdo I, Maruani A (2019) Understanding the long diagnostic delay for hidradenitis suppurativa: a national survey among French general practitioners. Eur J Dermatol: doi: 10.1684/ejd.2018.3478. [Epub ahead of print]. Chabbert-Buffet N, Marret H, Agostini A, Cardinale C, Hamdaoui N, Hassoun D, Jonville-Bera AP, Lambert M, Linet T, Pienkowski C, Plu-Bureau G, Pragout D, Robin G, Rousset-Jablonski C, Scheffler M, Vidal F, Vigoureux S, Hédon B (2018) Contraception: CNGOF Guidelines for Clinical Practice (Short Version). Gynecol Obstet Fertil Senol, 46(12): 760-76. Bernier M, Jonville-Bera AP (2018) Drug and food interactions with contraceptives: CNGOF Contraception Guidelines. Gynecol Obstet Fertil Senol, 46(12): 786-91. Leyrat C, Caille A, Eldridge S, Kerry S, Dechartres A, Giraudeau B (2018) Intervention effect estimates in cluster randomized versus individually randomized trials: a meta-epidemiological study. Int J Epidemiol: doi: 10.1093/ije/dyy229. [Epub ahead of print]. Alami Z, Agier MS, Ahid S, Vial T, Dautriche A, Lagarce L, Toutain A, Cherrah Y, Jonville-Bera AP (2018) Pregnancy outcome following in utero exposure to azathioprine: A French comparative observational study. Therapie, 73(3): 199-207. Jonville-Bera AP (2018) [The pictogram "Drug and Pregnancy" : Good intentions but difficulties in sight]. Gynecol Obstet Fertil Senol, 46(5): 455-7. Petit JC, Araujo M, Masin A, Feddag ML, Cottin J, Latouche A, Merson L, Gillet N, French Addictovigilance Network (FAN) (2018) Neuromuscular blocking agents induced anaphylaxis: Results and trends of a French pharmacovigilance survey from 2000 to 2012. Allergy: doi: 10.1111/all.13456. [Epub ahead of print]. Revol B, Jullian-Desayes I, Bailly S, Mallaret M, Tamisier R, Agier MS, Lador F, Joyeux-Faure M, Pépin J (2018) Baclofen and sleep apnoea syndrome: analysis of VigiBase, the WHO pharmacovigilance database. Eur Respir J, 51(1): pii: 1701855. doi: 10.1183/13993003.01855-2017. Robert R, Le Gouge A, Kentish-Barnes N, Cottereau A, Giraudeau B, Adda M, Annane D, Audibert J, Barbier F, Bardou P, Bourcier S, Bourenne J, Boyer A, Brenas F, Das V, Desachy A, Devaquet J, Feissel M, Ganster F, Garrouste-Orgeas M, Grillet G, Guisset O, Hamidfar-Roy F, Hyacinthe AC, et al (2017) Terminal weaning or immediate extubation for withdrawing mechanical ventilation in critically ill patients (the ARREVE observational study). Intensive Care Med, 43(12): 1793-1807. Moret L, Anthoine E, Pourreau A, Beaudeau F, Leclère B (2017) Inpatient satisfaction with medical information received from caregivers: an observational study on the effect of social deprivation.. BMC Health Serv Res, 17(1): 769. Stalder J, Aubert H, Anthoine E, Futamura M, Marcoux D, Morren M, Trzeciak M, Szalai Z, Veres K, Deleuran M, Vestergaard C, Boralevi F, Chu C, De Raeve L, Svensson A, Foelster-Holst R, Buchner M, Takaoka R, Moret L, Barbarot S (2017) Topical corticosteroid phobia in atopic dermatitis: International feasibility study of the TOPICOP score. Allergy, 72(11): 1713-1719. Le Moigne M, Bulteau S, Grall-Bronnec M, Gerardin M, Fournier J, Jonville-Bera AP, Jolliet P, Dreno B, Victorri-Vigneau C (2017) Psychiatric disorders, acne and systemic retinoids: comparison of risks. Expert Opin Drug Saf, 16(9): 989-95. Rouillon S, Deshayes-Morgand C, Rabouan S, Enjalbert L, Hardouin JB, Group DisProSE , Migeot V, Albouy-Llaty M (2017) Endocrine Disruptors and Pregnancy: Knowledge, Attitudes and Prevention Behaviors of French Women. Int. J. Environ. Res. Public Health, 14: 1021. Agier MS, Marchand S, Paret N, Gautier S, Jonville-Bera AP (2017) [Post-licensure safety surveillance for Prevenar 13® in France]. Arch Pediatr, 24(5): 439-44. Simon C, Agier MS, Béné J, Muller C, Vrignaud L, Marret H, Jonville-Bera AP (2016) [Safety profile of etonogestrel contraceptive implant (Nexplanon® and Implanon®) reported in France]. J Gynecol Obstet Biol Reprod, 45(9): 1074-82. Kaguelidou F, Beau-Salinas F, Jonville-Bera AP, Jacqz-Aigrain E (2016) Neonatal adverse drug reactions: an analysis of reports to the French pharmacovigilance database. Br J Clin Pharmacol, 82(4): 1058-68. Jonville-Bera AP, Mallaret M, Sgro C, Association Française des Centres Régionaux de Pharmacovigilance (2016) [The congress of the French Society of Pharmacology and Therapeutics celebrate in Nancy, 20 April 2016, 40 years of French Regional Pharmacovigilance Centres!]. Thérapie, 71(4): 351-4. Winterfeld U, Merlob P, Baud D, Rousson V, Panchaud A, Rothuizen L, Bernard N, Vial T, Yates L, Pistelli A, Ellfolk M, Eleftheriou G, de Vries L, Jonville-Bera AP, Kadioglu M, Biollaz J, Buclin T (2016) Pregnancy outcome following maternal exposure to pregabalin may call for concern. Neurology, 86(24): 2251-7. Jonville-Bera AP, Vial T, Sgro C, Mallaret M, Association Française des Centres Régionaux de Pharmacovigilance (2016) [On the absence of reimbursement of rotavirus vaccine in France]. Arch Pediatr, 23(6): 655-7. Pourrat X, Sipert A, Gatault P, Sautenet B, Hay P, Guinard F, Guegan F, Halimi JM (2015) Community pharmacist intervention in patients with renal impairment. Int J Clin Pharm, 37(6): 1172-9. Duclay E, Hardouin JB, Sébille V, Anthoine E, Moret L (2015) Exploring the Impact of staff absenteism on patient satisfaction using routinely indicators in a university hospital. Journal of Nursing Management, 23(7): 833-841. Sautenet B, Caille A, Giraudeau B, Léger J, Vourc'h P, Buchler M, Halimi JM (2015) Deficits in information transfer between hospital-based and primary-care physicians, the case of kidney disease: a cross-sectional study. J Nephrol, 28(5): 563-70. Moret L, Anthoine E, Paillé C, Delmas C, et le Consortium CLARTE (2015) Projet national CLARTE : expérimentation et validation d’un panel d’indicateurs d’absentéisme et de turn-over hospitalier. Journal d’économie et de gestion médicale: . Prud'homme S, Dufresne M, Abbey H, Paillé C, Leclère B, Moret L (2015) Annonce d’un événement indésirable grave lié aux soins : état des lieux des pratiques des médecins dans un hôpital universitaire. Presse médicale: . Moret L, Pourreau A, Anthoine E, Delmas C, Beaudeau F, Lombrail P (2014) Inpatients’ deprivation and their perceived social distance with physicians and nurses impact the quality and accessibility to medical information. Patient Education and Counseling: . Molinié F, Vanier A, Woronoff AS, Guizard AV, Delafosse P, Velten M, Daubisse-Marillac L, Arveux P, Tretarre B (2014) Trends in breast cancer incidence and mortality in France 1990–2008. Breast Cancer Research Treatment, 147(1): 167-75. Roulet L, Ballereau F, Hardouin JB, Chiffoleau E, Potel G, Asseray N (2014) Adverse Drug Event Non-Recognition in Emergency Departments: An Exploratory Study on Factors Related to Patients and Drugs. Journal of Emergency Medicine, 46(6): 857-864. Lucas JP, Bellanger L, Le Strat Y, Le Tertre A, Glorennec P, Le Bot B, Etchevers A, Mandin C, Sébille V (2014) Source Contribution of Lead in Residential Floor Dust and Within-Home Variability of Dust Lead Loading. Science of the Total Environment, 70(127): 768-779. Lucas JP, Sébille V, Le Tertre A, Le Strat Y, Bellanger L (2013) Multilevel modelling on survey data: impact of the 2-level weights used in the pseudolikelihood. Journal of Applied Statistics: published online. Vanier A, Leux C, Allioux C, Billon-Delacourt S, Lombrail P, Molinié F (2013) Are prognostic factors more favorable for breast cancer detected by organized screening than by opportunistic screening or clinical diagnosis? A study in Loire-Atlantique (France). Cancer Epidemiology, 37(5): 683-87. Le Rhun A, Gagnayre R, Moret L, Lombrail P (2013) Analysis of perceived stress by hospital caregivers in the practice of therapeutic education: implications for supervision. Glob Health Promot., 20(2): 43-47. Oulhote Y, Le Tertre A, Etchevers A, Le Bot B, Lucas JP, Mandin C, Le Strat Y, Lanphear B, Glorennec P (2013) Implications of different residential lead standards on children’s blood lead levels in France: Predictions based on a national cross-sectional survey. Int. J. Hyg. Environ. Health, 216: 743-750. Roulet L, Ballereau F, Hardouin JB, Chiffoleau A, Moret L, Potel G, Asseray N (2013) Assessment of adverse drug event recognition by emergency physicians in a French teaching hospital. Emergency Medicine Journal, 30(1): 63-67. Terrien N, Anthoine E, Moret L (2012) Development and validation of a scale aiming at measuring perceived patient-centered care by professionals. Geriatr Psychol Neuropsychiatr Vieil, 10(4): 403-411. Moret L, Lefort C, Terrien N (2012) How to write, how to implement and how to evaluate a practice guideline in order to improve quality of care?. Transfus Clin Biol, 19(4): 174-177. Vanier A (2012) Thèse d'exercice pour le diplôme d'état de Docteur en médecine, DES de Santé Publique - Université de Nantes. L’évaluation de l’efficacité du dépistage systématique du cancer du sein dans la littérature internationale. , 166 pages. Molinié F, Vanier A, Tretarre B, Guizard AV, Arveux P, Poillot ML, Woronoff AS, Velten M, Binder-Foucard F, Daubisse-Marillac L, Delafosse P (2012) Incidence du cancer in situ et invasif du sein en France (1990-2008) – Données des registres de cancer (réseau FRANCIM). Bulletin Epidémiologique Hebdomadaire InVS - Numéro Thématique, 35-36-37: 395-98. Moret L, Anthoine E, Paillé C, Tricaud-Vialle S, Giraud-Roufast A, Gerbaud L, Michel P, Lombrail P (2012) Relationship between inpatient satisfaction and nurse absenteeism: an exploratory study using WHO-PATH performance indicators in France. BMC Research Notes, 5: 83. Lucas JP, Le Bot B, Glorennec P, Etchevers A, Bretin P, Douay F, Sébille V, Bellanger L, Mandin C (2012) Lead Contamination in French Children’s Homes and Environment. Environmental Research, 116: 58–65. Dely C, Sellier P, Dozol A, Segouin C, Moret L, Lombrail P (2012) Preventable readmissions of "community-acquired pneumonia": Usefulness and reliability of an indicator of the quality of care of patients' care pathways.. Presse Med, 9(1): 51-7. 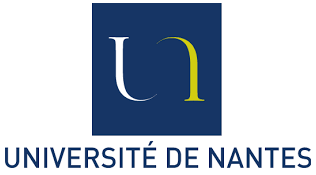 Thibault R, Jaccard S, Dessomme B, Navas D, Paillé C, Moret L, Darmaun D (2012) Evaluation des pratiques professionnelles en nutrition parentérale chez l’adulte au centre hospitalier universitaire de Nantes. Nutrition Clinique et Métabolisme, 26: . Vanier A, Paillé C, Abbey H, Berrut G, Lombrail P, Moret L (2011) Évaluation du risque iatrogénique médicamenteux des patients âgés hospitalisés en court-séjour. Ger Psychol Neuropsychiatr Vieil, 9(1): 51-7. Leclère B, Abbey H, Paillé C, Tequi B, Bord E, Surer N, Lombrail P, Moret L (2011) Port systématique d’un bracelet d’identification en hospitalisation : avis des patients et des soignants.. Risques & Qualité, 3(1): 11-16. Branger B, Rouger V, Beucher A, Bouderlique C, Blayo S, Le Mauff E, Rozé J, Paillé C, N'guyen S, Winer N, Moret L, les médecins référents du réseau « Grandir ensemble » (2010) Parent satisfaction with the Loire Infant Follow-up Team (LIFT) premature and at-risk infant network in the Pays-de-la-Loire area (France).. Arch Pediatrie, 17(10): 1406-1415. Lucas JP (2010) Historique de la règlementation relative à l’emploi de la céruse et des dérivés du plomb dans la peinture en France. Environ Risque Sante, 10: 316-322. Lejus C, Potel G, Paillé C, Lombrail P, Moret L (2010) Appropriateness of prescriptions of intravenous paracetamol at Nantes Teaching Hospital: a follow-up indicator for quality improvement. Presse Med, 39(4): 511-2. Duval M, Hardouin JB, Boin M (2004) Epidémiologie des Cancers en région Centre (1980-2000). ORS du Centre- ARH du Centre, 116 pages. Merle V, Moret L, Josset V (2004) Facteurs de qualité du traitement des sujets âgés opérés d'une fracture de l'extrémité du fémur : revue de la littérature. Chir Orthop, 90: 504-516. Moret L, Tequi B, Rousselet G, Fortun E, Lombrail P (2002) L'hygiène des mains au CHU de Nantes : résultats d'un audit d'observance. Nosonews, 24: 5-6. Robert R, Le Gouge A, Kentish-Barnes N, Cottereau A, Giraudeau B, Adda M, Annane D, Audibert J, Barbier F, Bardou P, Bourcier S, Bourenne J, Boyer A, Brenas F, Das V, Desachy A, Devaquet J, Feissel M, Ganster F, Garrouste-Orgeas M, et al (2017) Correction to: Terminal weaning or immediate extubation for withdrawing mechanical ventilation in critically ill patients (the ARREVE observational study). Intensive Care Me, 43(12): 1942-3. Moret L, Anthoine E, Aubert- Wastiaux H, Le Rhun M, Leux C, Mazereeuw-Hautier J, Stalder J, Barbarot S (2013) TOPICOP©: a new scale evaluating topical corticosteroid phobia among atopic dermatitis outpatients and their parents.. PLoS One, 8(10): e76493. Hardouin JB, Audureau E, Leplège A, Coste J (2012) Spatio-temporal Rasch analysis of Quality of life outcomes in the french general population. Measurement invariance and group comparisons . 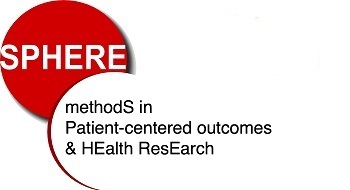 BMC Medical Research Methodology, 12: 182.